Clear2Frost.com Newsroom | Clear2Frost (The Electric Glass People) & Maghdeem Contracting & Trading in Qatar form new partnership! Clear2Frost (The Electric Glass People) & Maghdeem Contracting & Trading in Qatar form new partnership!
" With this new partnership in Qatar our Smart Glass & Smart Film technology can reach horizons we never deemed possible "
Clear2Frost - London & Maghdeem Co - Qatar form a new Global Partnership on a massive scale. Clear2Frost - Smart Glass & Smart Film technology brand in London have formed a partnership with Maghdeem Contracting & Trading in Qatar. This exciting new partnership opens up very big doors in relation to trade for our Electric Privacy smart glass & smart film technology. 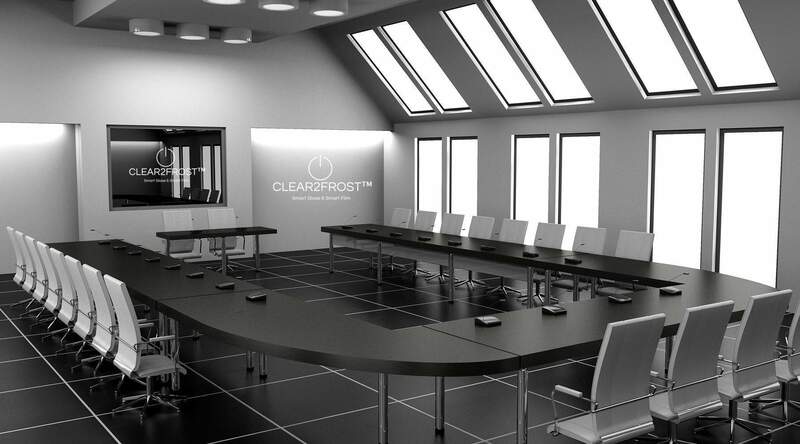 Clear2Frost are one of the worlds largest manufacturers of I-GLASS and I-FILM. This glass and film technology can change from clear to frosted instantly by using a very low power supply similar to that of a light bulb. A simple soft press of our I-REMOTE or wireless wall switch can change the glass from clear to frosted before your very eyes. Used now in over 100 countries on commercial and residential applications the technology is very high in demand. Our I-GLASS is to replace existing glass or for new builds and our I-FILM can be applied on top of your existing glass. 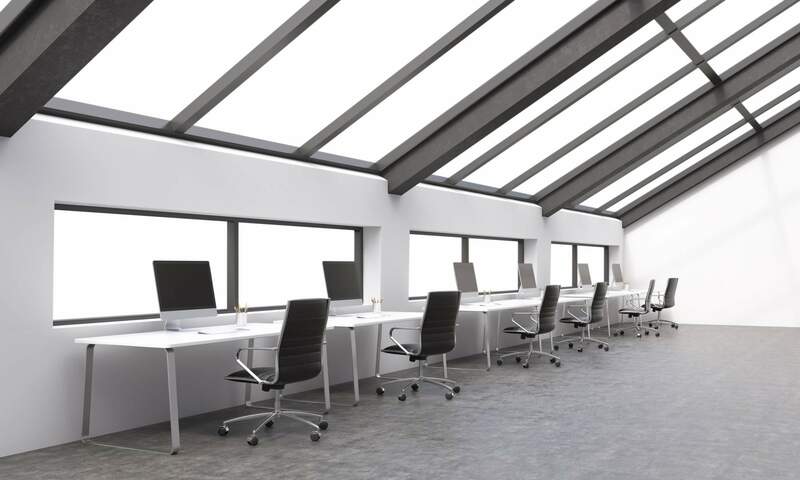 The technology protects users from 99.6% of harmful UV rays in the clear and frosted mode and also helps stop approx 50% of solar glare when switched to frosted. 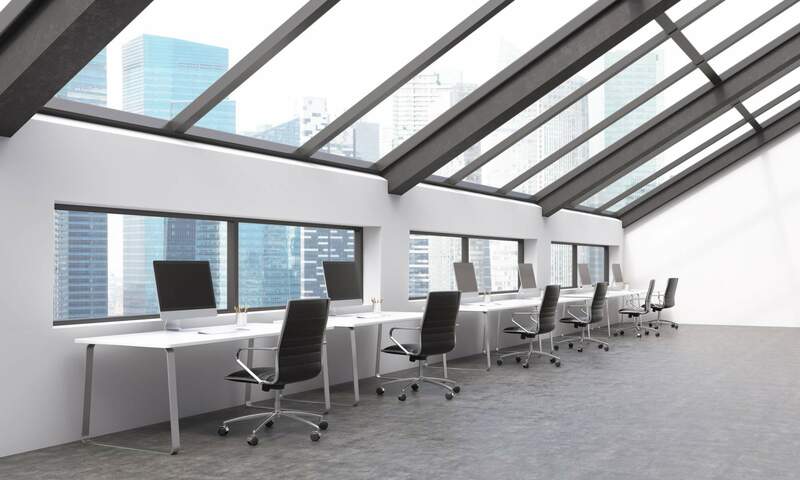 The smart glass and film reverts to frosted in the event of a power failure for safety. Maghdeem Contracting & Trading are Based in Qatar and since 1989 they have been delivering renewable energy solutions and Technology throughout Qatar, Gulf and Middle East. Maghdeem make clean energy available to homeowners, businesses, schools, not-for-profit organisations and government institutions at a lower cost than they would pay for energy generated by burning fossil fuels such as coal, oil and natural gas. o Solar PV systems, Wind farms, which convert sunlight and wind into electricity. o Solar Photo Voltaic (PV) Modules – European made and European Standards. o EPC, our Engineering, Procurement, and Construction (EPC) expert team provides bankable, innovative, and reliable solar energy solutions to customers around the Middle East. The most experienced clean-energy project design and installation teams in the region. o Thermosyphon Solar Water Heaters. o Solar LED street light. o Solar Batteries, Invertors and UPS solutions. o Insulation solutions (Green solutions). o Air to Water Generators. MAGHDEEM Co. is one of the most important Middle East distributors for the world’s most experienced makers of PV modules worldwide that provides the best quality in all the PV Models. They are dealing with the best in execution, quality, and reliable in our modules. MAGHDEEM Co. dealing with class A European PV modules and other European standard PV modules sources. They deal in all kind of PV modules including: 60-cell (240-260Wp) – 48-cell (200Wp) – 72-cell (300-310Wp) etc. These PV modules are best in quality and best for all kind of power system whether they are small power plant or the large power plant. It saves more than 16% energy is saved with our PV modules from all models. Cost of our models is reasonable as well as they consume less energy and provide you with the best quality. MAGHDEEM Co. is an association committed to feasible building plan and development and additionally the designers of the solar lightening solutions. Advantages of solar lightening solutions are many like, No Wiring needed. Introducing and moving is simple. Vandal and robbery safe parts and equipment. All parts are consumption safe. Low establishment cost. Easily and immediately conveyed in any area. No Maintenance required. No Utility bill. Maintenance Free Batteries and many more. Supply and installation of solar thermal system. "It is with great excitement and extreme proudness that we form this partnership with Maghdeem Co. They are No.1 in the marketplace in their specialist fields and we feel this alliance will open up new horizons for our brand and see this smart technology offered to many clients in their targeted area in need of such smart products. Such a synergy between our companies brings energy and prowess to our global brand." "We value our Partnership with Clear2Frost.com. Our partnership with Clear2Frost will allow us to give our customers in State of Qatar a high quality and more cost effective product. We're really excited to introduce Clear2Frost unique products to Qatar market, this is a win-win for both companies and our customers in Qatar."